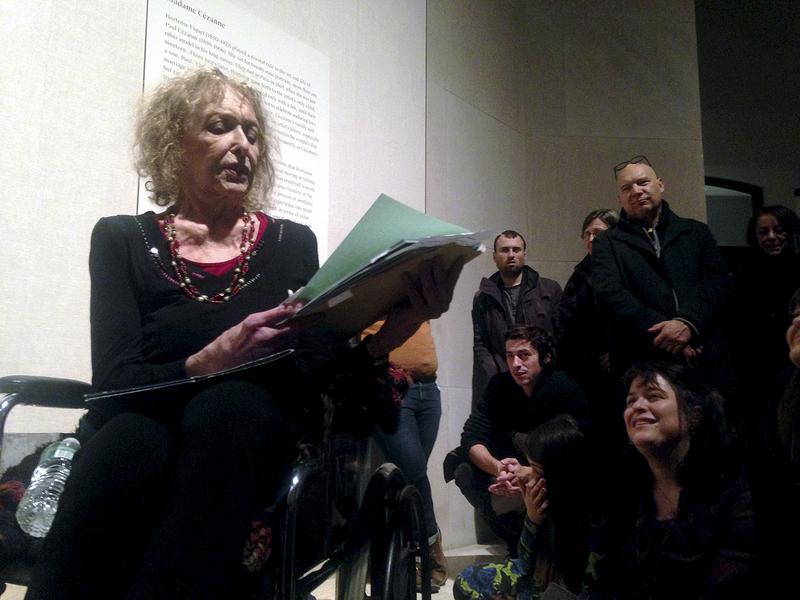 Poetry parade for a permanent collection is a migrating feminist reading action. 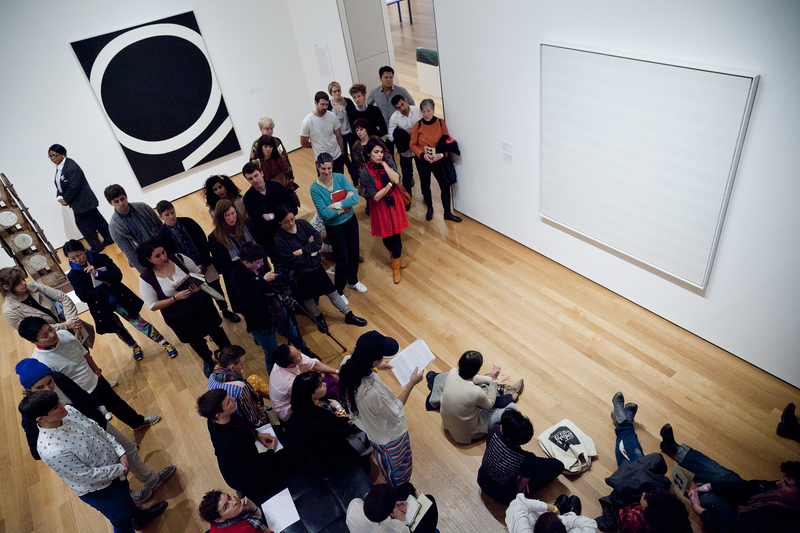 The inaugural action place throughout the 4th and 5th floors of the permanent collection at the MoMA. 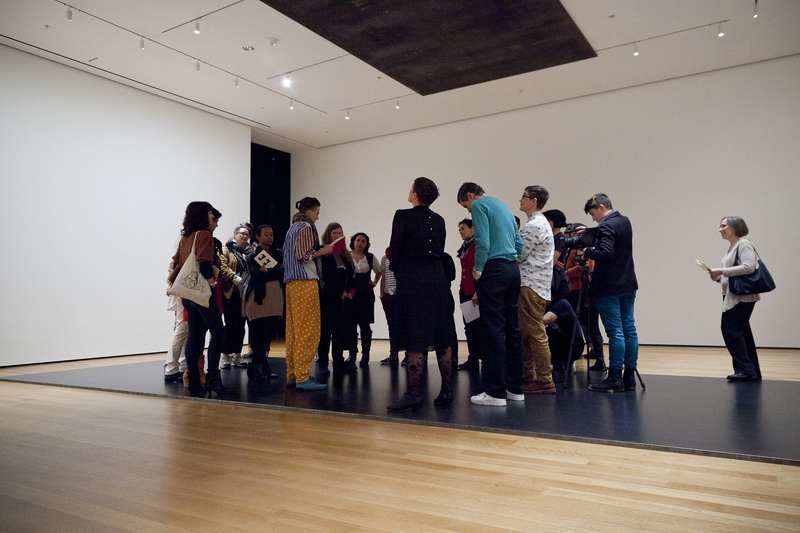 With an inter­est in disrupting the stasis and authority of a permanent collection, the parade is a slow migration through the galleries stopping periodically to coalesce around a specific work and read aloud to it. 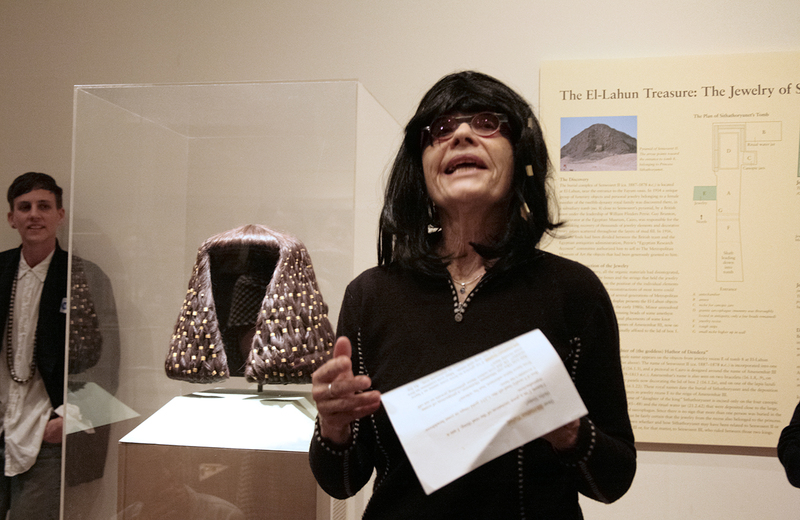 Texts were chosen and paired with works to stage a celebration, homage, or confrontation. 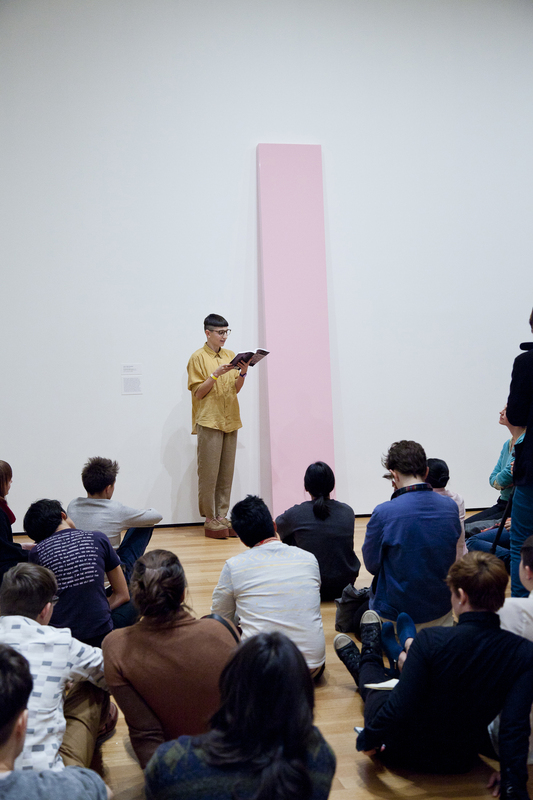 Katherine Hubbard reads Stein to Agnes Martin’s The Tree. 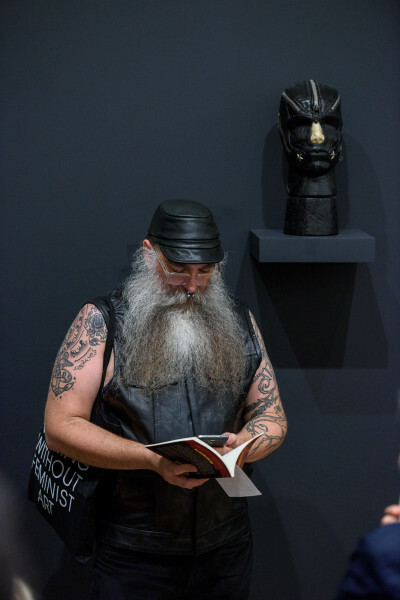 Gordon Hall reads to John McCracken’s The Absolutely Naked Fragrance, 1967. 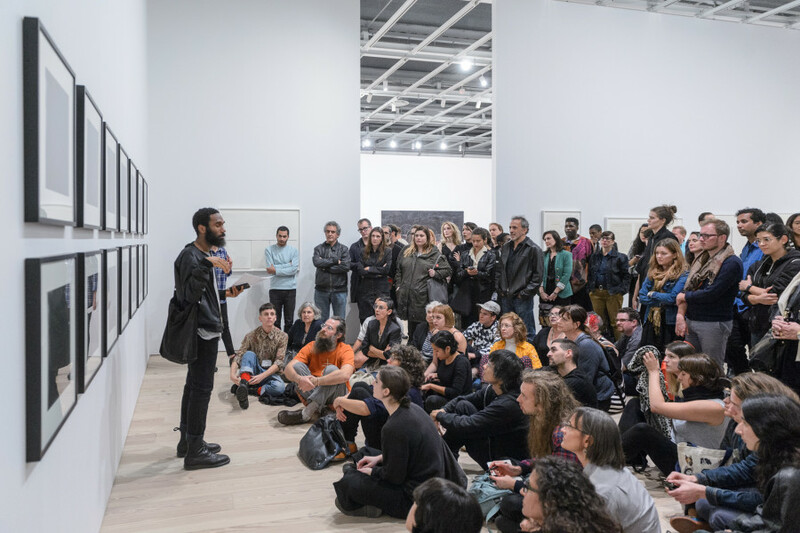 This project culminated from working with the Artists Institute, whose season was dedicated to Carolee Schneemann, and the Metropolitan Museum’s exhibition Madame Cézanne. 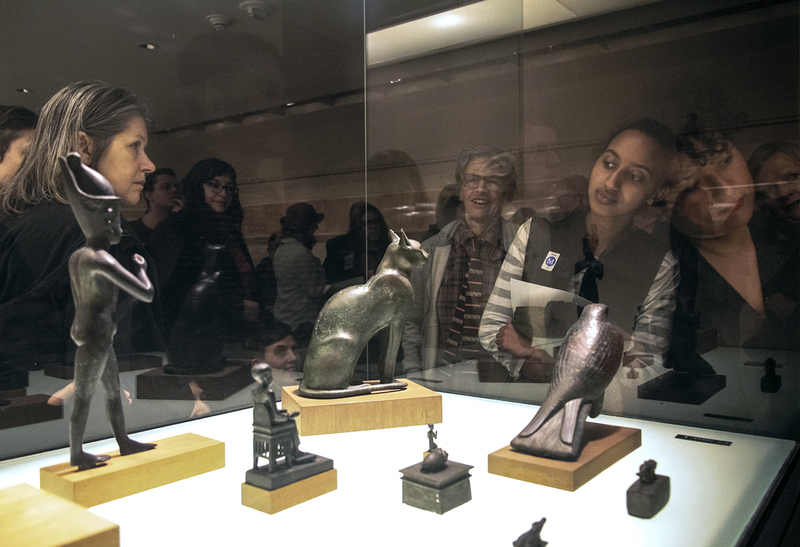 This parade is derived from a story about Carolee as a young girl, who wished to discover woman painters in the hegemony of art history. 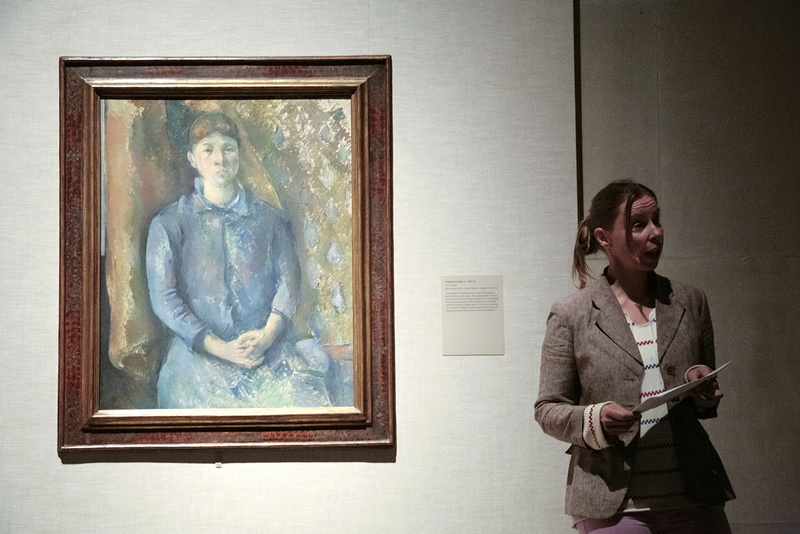 She thought she had discovered a mentor in Cézanne, when she mistook ‘Céz-Anne’ for a woman’s name. Later, in the early 70s, she re-appropriated her childhood confusion as a banner for exploring how women had been misrepresented in the arts, publishing a collection of writings titled Cézanne: She Was a Great Painter. 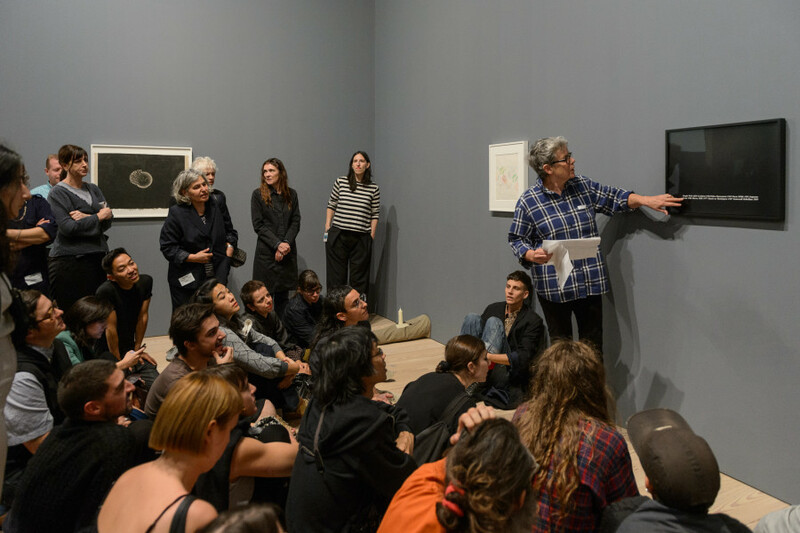 This ‘Poetry Parade’ is titled after Madame Cézanne’s maiden name, Hortense Fiquet, and is an opening to reconsider the contributions of women in the arts, not as muses, props, wives, or possessions but as active participants. Readers: Malin Arnell, Fia Backström, A.K. 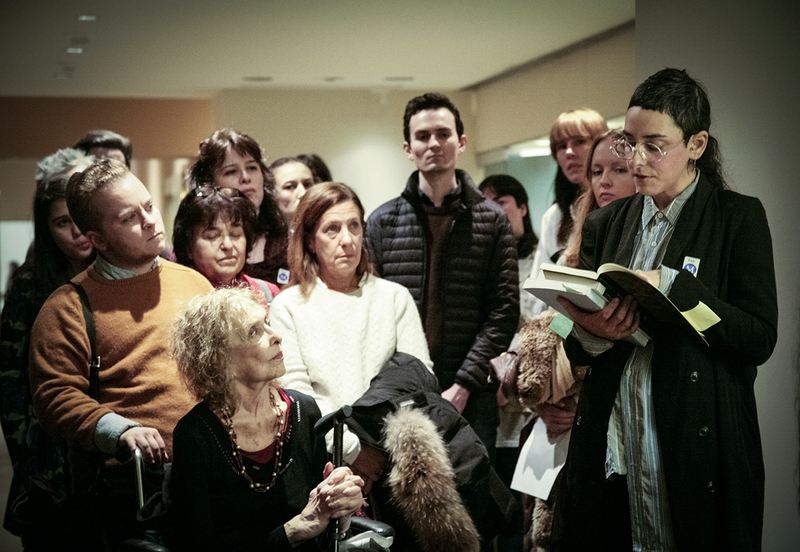 Burns, Barbara Hammer, Katherine Hubbard, Eileen Myles, Jennifer Rosenblit, Carolee Schneemann, and Lanka Tattersall. 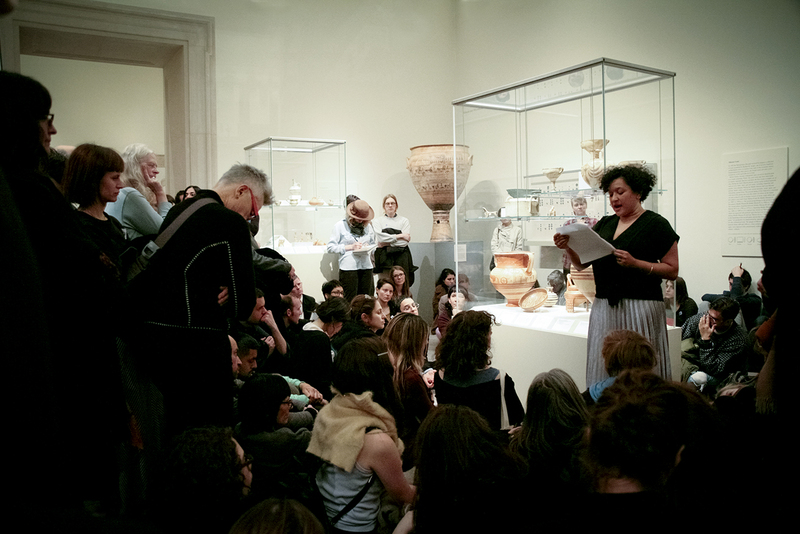 Malin Arnell confronts the audience as she reads to Pair of Eyes, 5th century B.C. 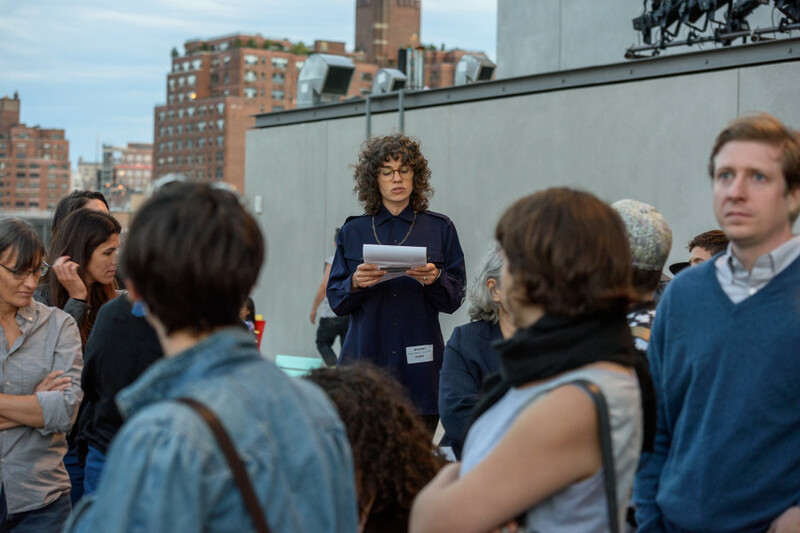 This Poetry Parade responded to the inaugural exhibition America Is Hard to See, while also addressing the new building itself, its location and histories relating to the evolution of the Meatpacking District and the Whitney as an institution. 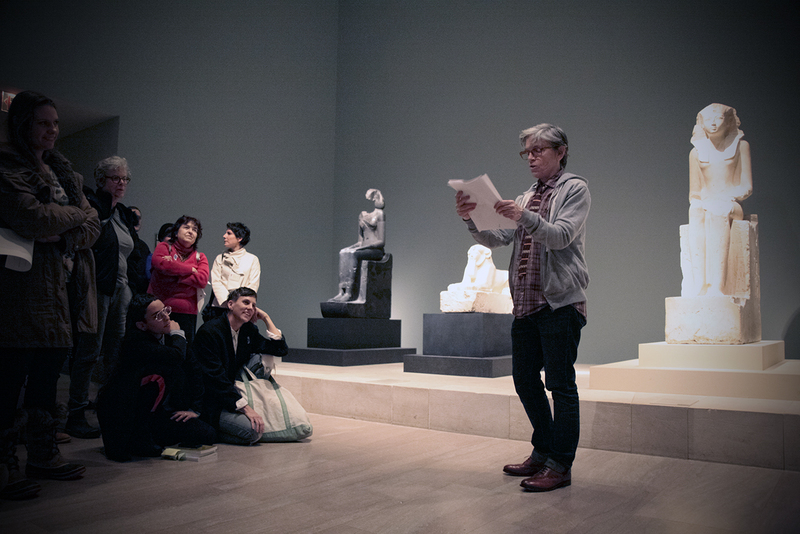 This series of live readings focused on works from the exhibition as well as specific locations in and near the museum. 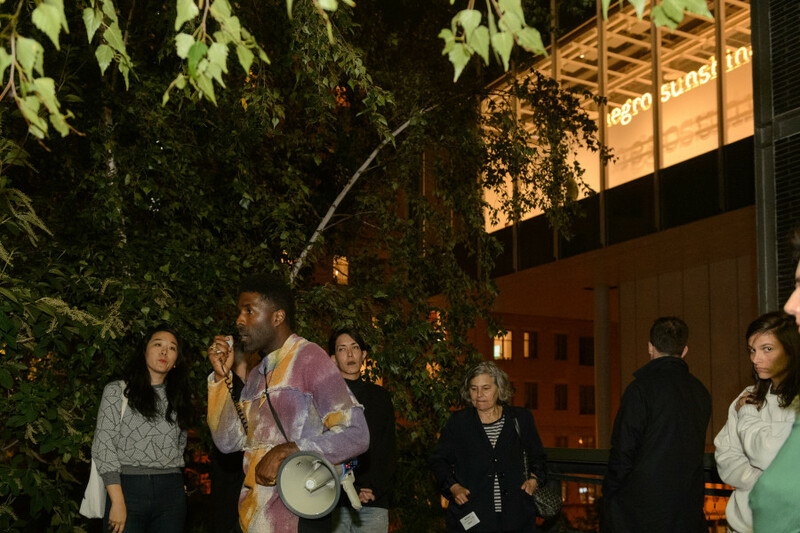 This parade attended to past and present actions of bodies and uses of this site—a site of ongoing transition with an ever looming question about the assumed benefits of progress, newness and visibility.